There are a number of opportunities to work with young offenders, all of which require dedication, determination, motivation and a non-judgemental and supportive attitude. Any person wishing to work with young offenders must be dedicated to the practical and positive rehabilitation of young people, without labelling or discrimination. The majority of roles working with young offenders are based in some sort of secure unit, semi-secure unit or institution, with high levels of regulation and administration required to maintain tight rehabilitation programmes. The roles are mostly demanded by local authorities and/or the Prison Service, although there are also charities, youth groups and religious organisations that recruit people to work with young offenders. As of the end of 2010, all people who work with young offenders in a supervisory capacity are required to be graduates with training and/or qualifications approved by the National Youth Agency and the Joint Negotiating Committee for Youth and Community Workers. Up until the end of 2010, qualifications simply needed to be validated by these organisations, with a degree not required. There are also a few universities offering specific degrees related to working with young offenders, although these particular courses are not required to apply, with relevant degrees such as psychology or teaching more than welcome. Skills required to work with young offenders are varied, as befits such a responsible role; a role that can have a great impact on often disadvantaged young people who have fallen into difficult circumstances. It is most important not to be judgemental, either of the young offender or their family situation, but to offer support and positivity to aid rehabilitation. 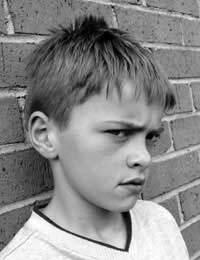 The overriding focus of the role of someone working with young offenders is to prevent or at least reduce the potential of further offending behaviour. The young person must be able to respect their team, which will usually include social workers. Working with young offenders demands a lot of multi-agency work, so you would need to be comfortable making referrals and dealing with all manner of other agencies. This career can be relatively well paid, with starting salaries for graduates with relevant skills at around £20,000, not including shift pattern payments or London weighting (typically around 20%). After three years' experience, this rises to around £25,000, with senior youth offender workers earning around £30,000-£36,000. There is a good career progression, plenty of opportunities and excellent benefits, including career breaks. The profession is keen to recruit specialist youth offender workers with skills focused on positive rehabilitation, such as sports teachers, art & crafts facilitators and trained counsellors that can bring a sense of ‘mentoring’ to this rewarding yet challenging role. You may also be interested to read our articles on Becoming A Social Worker or Working with Children on this site. There are various routes... sometimes jobs within specific prisons or organisations are advertised and any teachers can apply. Other organisations such as Excellence Gateway Offender Learning offer training and qualifications etc. Hey, I have been interested in working with troubled youth for a few years now. I have no criminal record, never been in trouble with the police. I have nephews and a niece (13,11,9,8,8) and a young daughter myself (4). I would just like some advise on how I can get started, I don't mind volunteering or starting from the bottom and working my way up. I'm very passionate about helping the youth and want to make a difference. I can relate to the youth, I was bought up in a broken home. I could've gone down the wrong path but having good people and supportive people around me, I never. Unfortunately some aren't as lucky. I have always wanted to work with youth. It's like a calling career. I have a non violent felony going on 7 years now. I just want an opportunity to change the lives of our future of tomorrow. I am from NYC, I just want to know how to get some training and get start to change loves. Hi there, just a quick query. My partner is interested in working with young offenders but she has a criminal conviction. She was convicted in 2001 when she was 12, coming on 13, and I have read that a custodial sentence of more than two and a half years, up to four years, is spent for a child under 18 three and a half years after the end of the order. Will her youth conviction, from 15 years ago, have a negative impact on her trying to get into a career with young offenders? If she is honest about her history, there is no reason why an employer should treat her any differently from other candidates especially as her background may help her in the role. I have a Health and Social care Degree. I am working in a SEN school with challenging behaviour. I love working with challenging behaviour students and providing advice. I want to become a probation officer. What would I need? I also help the young people in my community. Interested in working with youth offenders and am willing to do some voluntry work.Im working with the eldery at the moment inchallenging beheviour and need a new challenge. Hello. I am currently a Primary School teacher and specialised in disability studies. I am looking at a career change and would be interested in working with young offenders. Are there any teaching roles out there and if yes, how do I find these to apply? I am in North West, Cheshire area. Are there other jobs in this area which I could use my qualification for?Thank you Alison Ralph. We don't have details of specific job vacancies on this site but we hope the advice in the article helped. Unfortunately, apart from contacting youth offending teams directly we cannot suggest much else if you have searched on the Internet. Try using various different search terms as the obvious ones are not always the ones that bring up the best results. Hello. I am currently a Primary School teacher and specialised in disability studies. I am looking at a career change and would be interested in working with young offenders. Are there any teaching roles out there and if yes, how do I find these to apply? I am in North West, Cheshire area. Are there other jobs in this area which I could use my qualification for? Thank you Alison Ralph. Hi, I am from London, have an undergraduate degree in sociology however due to family issues i struggled, re-took and eventually managed to pass with a 3rd. I began to work in a medium secure mental health hospital, as a social therapist (formally known as health care assistant) and worked across the NHS in various wards including children’s acute units. I have worked here for 2 years. The nursing direction is no longer for me as I feel limited to how I can actually empower and motivate people, due to lack of resources and limits to what I can do. My ideal job would be working with youth, and positively engaging them in society, enabling them to make the best choices. I feel stuck; most requirements to such jobs are people who have social work or youth studies background. Studying further is also limited as my 3rd class honours doesn’t meet any higher education criteria can you kindly inform me of any other options? @mayers. While your experience is of course valuable, you will be expected to have some qualifications for most of the jobs in this field. Ask at your local college for details of relevant courses. You could also ask at your local youth offender's unit for volunteer work which would help you in any job applications. Hi I am29 year old who has not had the best up brining myself. I have a criminal record as i have been to prison twice but i am heavily interested in helping youth distance themselves from trouble. I have not got any qualifications that apply to social work or working with young offenders but i do have a life time of experience. I find it very easy to relate and change the lifestyle of those who many give up on and i would love and have been advised by many to try and make a career of it. I amwalking, talking example of what case workers are trying to achieve and i would like to know how to get my for in the door. What would you suggest? @Dance66. We cannot contact readers directly to answer their questions unfortunately. The repsonses that we post here are intended to remain there as a resource for anyone else who may be experiencing similar issues. If you post your approximate location, we, or our readers may be able to point you in the direction of relevant organisations. @Sam. The easiest way to find voluntary work is to ask at schools and early years settings in your area. I will be beginning an access to education course and will hopefully be continuing further from this to do the full teaching degree. Initially I was doing a children's nursing degree and was looking at working in young offenders institutions with this. However, I have since decided to retrain as a teacher. I currently live in the west midlands and was wondering what opportunities there are down here and if any voluntary experience was available. Hi. im 19 and currently doing my first year in child hood studies degree as well as completing a level 3 child care qualification. With this course I will also be doing 700 hours work experience with working with children. Is there any way I can go into this career? i am qualified primary school teacher (working on supply at the moment) and i am looking to change my career. i live and work in the north east, and would like to know if there are any vacancies, whether i would have to train, if it would cost anything and if my my 2.1 degree is of any use? my strengths within my teaching have always been my great relationships with young people. @JWL. Give the Somerset Youth Offending Teama call on 01458 440820 or write to them at: 5-7 West End, Street, Somerset, BA16 0LG They will be able to tell you if there are any voluntary or paid opportunities near you. @Kakes. Doing some voluntary work is a great place to start out. You should contact your local youth service, probation service or social work team for more information about volunteering. Remember you will be CRB checked but if you're up front about your past then hopefully that will not go against you. To become qualified in this area, there are some NVQ style courses that you can follow. The National Youth Agency has this page of useful information which will tell you which courses and apprenticeships are available.